This homemade costume for groups entered our 2016 Halloween Costume Contest, and won 3rd place in the Best Group Costume nomination! 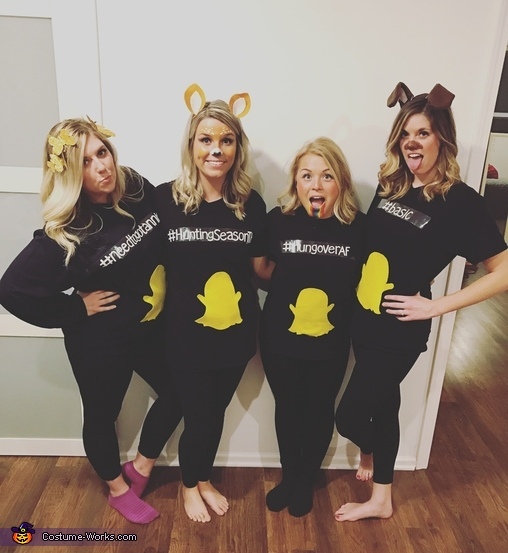 Andrea as the butterfly filter, Megan as the deer filter, Brooke as the rainbow filter, and Rachel as the dog filter. I came up with the idea after seeing a make up tutorial for the rainbow filter and I thought "what a fun costume idea!" All of our props are made by us and we had an absolute blast planning, making, and wearing our costumes, they were a big hit with all of our friends!